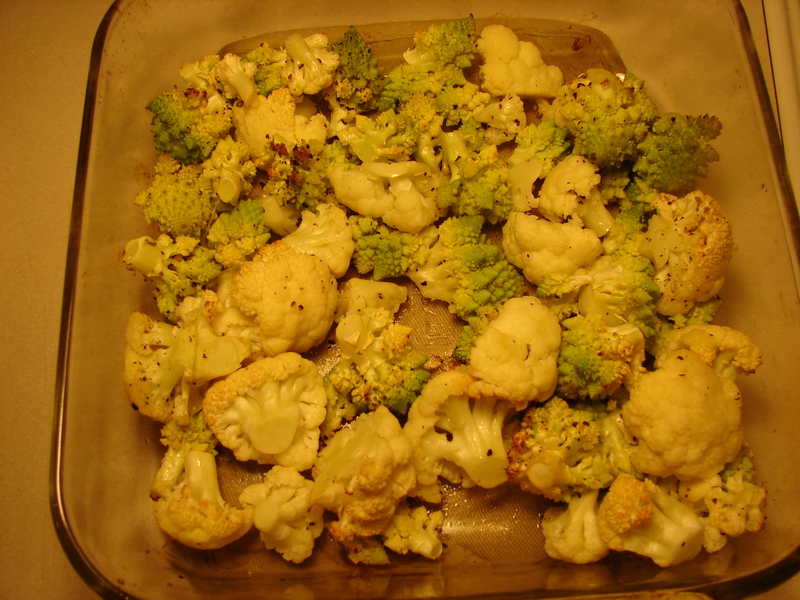 Toss the cauliflower florets in an 8×8 glass baking dish with olive oil and pepper. 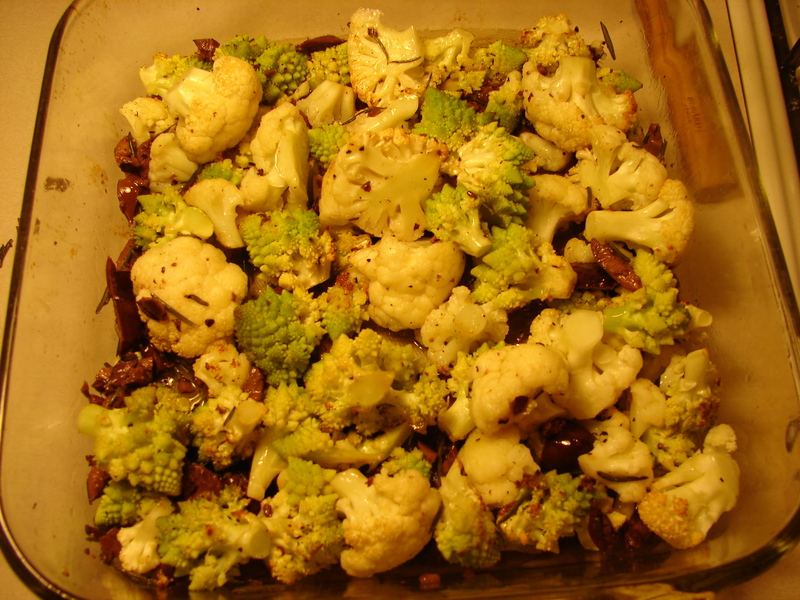 Roast at 375 degrees for 25-30 minutes, or until cauliflower is tender. 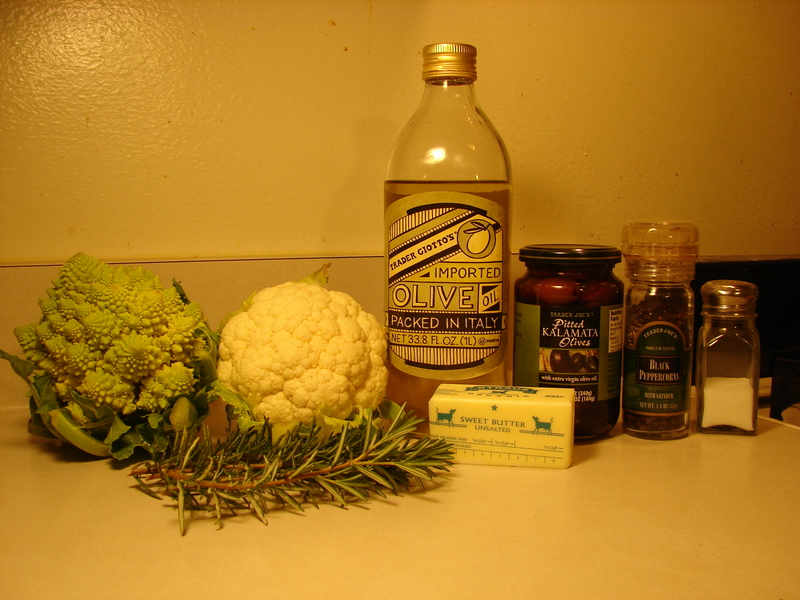 A couple minutes before the cauliflower is finished, melt the butter in a small saucepan. Add the olives and rosemary and heat through. 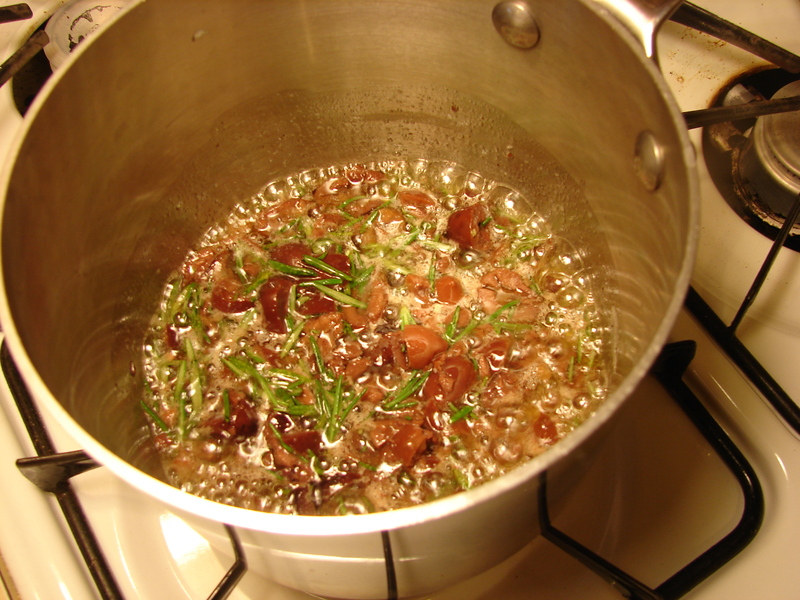 Toss with butter mixture and serve. Enjoy! I ate it for lunch with some wheat crackers and cheese. I used kalamata olives, but you can use any kind. 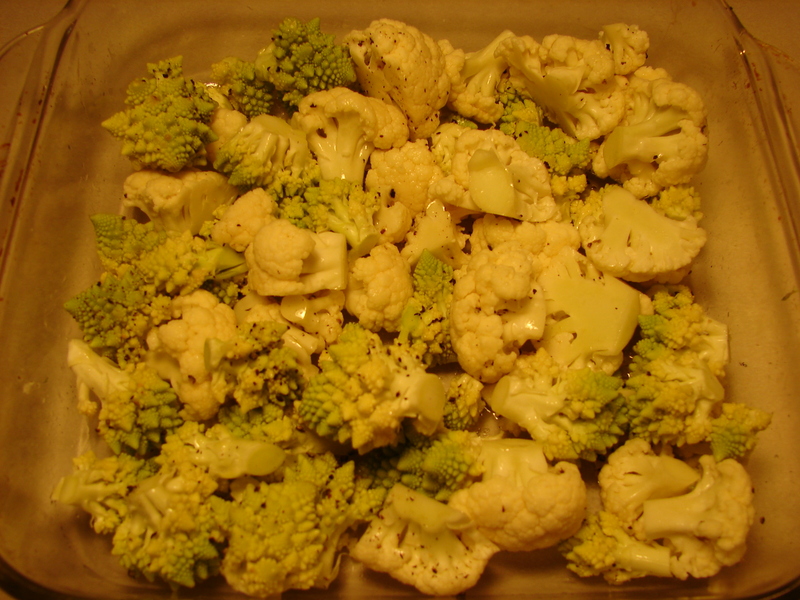 The green cauliflower just looks different. Its pretty much the same as normal cauliflower. I like the green one though because it looks really cool. Also, using two kinds gives the dish more color. I like throwing some orange cauliflower in there too. Looks good. I have been looking for a cauliflower recipe. Thanks so much! Where did you get your pots from? When I was living with my parents I used all clad pots and those are my favourite, but they’re way beyond my budget as a student. Now I have a cuisinart stock pot that I got on sale for $70, a small lagostina pot that I got as a gift, a cheap frying pan from target and some other old frying pans that my grandmother gave me. I also really like glass pots, but I’ve had two break on me already!